Is your outdoor, conservation, hunting, fishing or sporting goods shop been stacking up reasons not to modernize? Have you found yourself thinking or saying aloud “if it ain’t broke, don’t fix it…” If so, this 3-part topic is for you. I get it, you’re an outfitter, guide or shop owner busily juggling multiple hats. You work tirelessly to grow a customer base, meet with new partners, and ensure your responsibilities as a business owner are met. Every item is important thus, it’s easy to put your brand, logo, website, search and marketing last. Your brand is the first impression most potential customers will have with your business. It conveys an attitude – or what your company DNA is all about. Your brand also helps differentiate from your competitors and creates trust with the consumers you aspire to win over. Don’t think of your brand as just a logo, think of it as an extention of the customer experience. It starts with the logo mark, colors and messaging but extends to your website, collateral, social and campaign experiences. It’s the way you answer the phone or shake someone’s hand when being introduced. It’s how your brand comes up in Search or what kind of video, content marketing or automation tools are used. All companies face the day when the shiny polish of your branding, messaging and positioning has worn off. You begin to wonder – as do you consumers, if the brand is doing more harm than good but you don’t know the first step to take. Since technology innovation has become a key driver of changing consumer market behavior, businesses either will either adapt and modernize, or will get left behind. 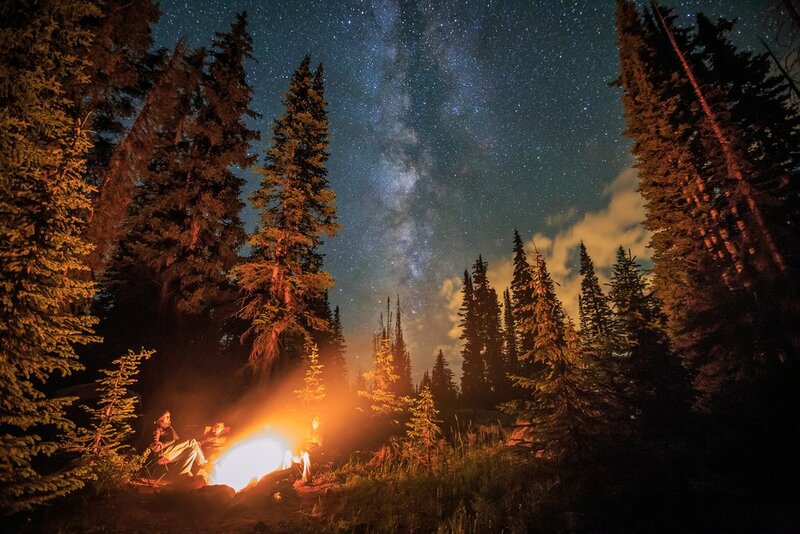 You know that feeling of wanting to stay in your sleeping bag six or seven days into a backcountry hunt or hike? 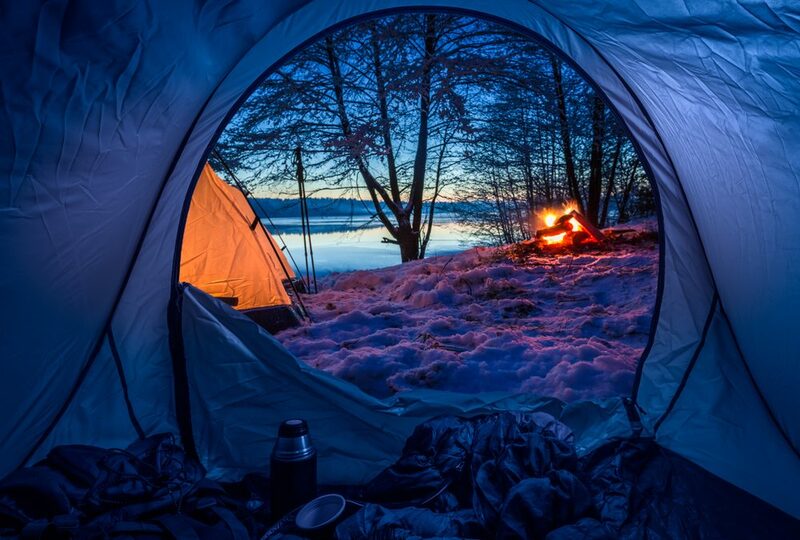 Your body is sore, you haven’t seen much game and you’re just too comfortable to get out of the sleeping bag, build a fire for a fresh pot of coffee and breakfast. 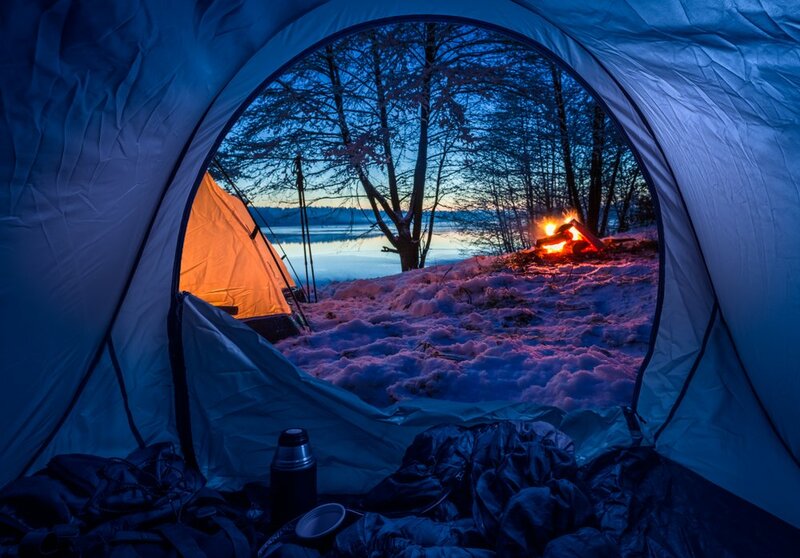 Unexpectedly, snow fell last night – another reason to stay in the warm, comfortable sleeping bag for just 30 more minutes…. We’ve all been there. It feels easy to let the reasons for staying comfortable pile up in lieu of the seemingly superhuman strength it would take to get moving, build a fire and get coffee going. Until we do. Then, those thoughts of comfort never enter into our heads again and we’re glad we got out of the bag to experience another full day of nature and adventure. Just like many brands operating in the outdoor, conservation and hunting industries, comfort has become the enemy of change. If your brand been hitting snooze for too long comfortably stacking up reasons not to modernize, it’s time to get up. Your agency partner has a cup of coffee waiting for you. Because each brand is different, your first need is to nail down your brand voice, style, and attitude. It should reflect the attributes that drove consumers to have liked, followed or purchased from you in the first place. Each brand is different so the importance of items below vary greatly but if you’re curious to know which global brands have emotional equity, check out the infographic on this page including brands like YouTube, Ford, Starbucks, Amazon, Pepsi and more. It’s difficult to weight the importance a strong brand has to businesses because each business is unique but it’s high. If it’s been a number of years since you took a hard look at your brand, it’s probably time. A well-defined brand is much more than a logo mark, it uniquely reflects a mix of values, promises and emotions communicated visually and textually. Brands develop and change over time with the most enduring ones rooted in a solid strategy, positioning statement, brand promise, and story. Brands we remember have an attitude and personality no matter if you love or hate them, great brands spark an emotion. It’s not an accident when you see the “swoosh”, it’s recognized as Nike, or an apple with a bite out of it is Apple. The emotions you associate with each brand are more than a graphical appreciation for the logo mark. Hard work, perseverance, fitness, and design all come to mind when I think of Nike. What about Apple, Twitter or John Deere? Great brands are more than a logo mark. Ask yourself, is yours simple and do people recognize it quickly among your competitors? Is the logo mark memorable? Does it scale appropriately on mobile as it does on large format installations? My former ECD would conduct a “tension” exercise in our branding workshops to see how a logo mark performed at different sizes, on different platforms, and mediums. It’s the among the first interaction / impression people have with your company and one of the things you hope they remember the most. It reflects who that company is and how that company conducts business. It’s a reputation badge for your business just like the guy who runs Amazon. Like it or not, the needs of customers have changed. Unless you’re among the 1% brands who have timeless brand recognition or deep consumer loyalty like Apple, Starbucks or Pepsi, not paying attention to creating a brand or actively creating an awareness around that brand, you’re unknowingly depriving your business of the highest potential it can reach. By the way, Apple has gone through 3 major rebrands, Starbucks 4 and Pepsi 11. This topic is difficult to strike the right tone and balance so please don’t take this out of context. This specific part of the post – Diversify Industry Demographics is not a criticism about what brands have not done well inasmuch as opportunity to improve areas that helps everyone win. I didn’t dig into pay disparity that may – or may not exist inside outdoor, conservation and hunting brands but to me, it’s more than pay, it’s also about providing a variety of opportunities run or lead by women. Modern brands invest in finding qualified and passionate woman to cultivate for leadership roles helping bring our industry into a more friendly position relevant in today’s marketplace, to donors, and consumers alike. 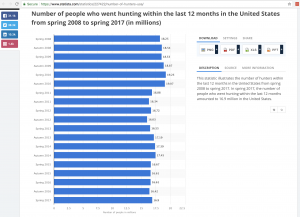 Younger women (14-24) participating in shooting competitions along with women in general actively participating in whitetail hunting have seen steady increases since 2012. We also have a handful of powerful brand advocates, thought leaders who run companies, author broadcast shows, and drive strategic industry initiatives. There are a few shinning examples for sure, but there’s an opportunity for improvement. 2. Build programs to attract and retain a more racially diverse base. It’s time to cast a wider net. Apart from all the human reasons to invest in attracting a more racially diverse base into hunting, firearms, fishing, and consumer motorsports, there are reasons like kindness, love and respect for all. Not to mention, the social + corporate responsibility expectations the younger demographic expect of brands today. Simply put, fewer people participating in hunting (and other comparable industries) = fewer small to medium businesses = less funding for land, wildlife & modern conservation = reduced hunter success which circles back to fewer people in the sport. Take a good look around your hunting blind, camp, online personalities, those leading influential brands, or while shopping at Cabela’s. By creating content, finding/building industry influencers, and developing programs targeted at a wider demographic, it provides yet another opportunity for improvement by diversifying industry demographics. Hunting, conservation, firearms are industries largely getting older. Fresh thinking, innovation, and probably a sprinkle of disruption may come from your kids – and the outdoor and conservation industries need them. Don’t just get your kids involved in hunting, firearms, conservation and the outdoors, invite their friends – and their friends, so they develop a passion help find modern solutions addressing long-term growth challenges. Brands will also find success attracting a younger demographic as customers or employees in part through modernizing via articulation of your brand values or principles many in the younger demographic groups require. This can be achieved a variety of ways, but usually through amplifying your brands authentic value-based attributes, social responsibility, being transparent while also addressing the other items directly above – (#1) equal pay/opportunity and (#2) racial diversity. You know who you are; maybe an outfitter, fishing guide, a shop that services boats, archery or firearm dealer. Your site was built in FrontPage or Dreamweaver, basic WordPress, WIX or GoDaddy site and/or you never found value in an online presence. If you’re ready to take a hard look at your website, start with the basics: All sites should be user-friendly and fully responsive on all devices. If you don’t know if it’s responsive and if it wasn’t developed in the past 48 months, chances are you should update your site. It will become even more important as AI influences Search and SEO. The website design should be visually compelling and authentic to your business while the messaging / copy paints a vividly clear story your target customer wants or needs to consume. It should also have basic functionality depending on your specific business, e.g., payment processing, reservation systems, store/outfitter/lodge/shop locators, basic analytics and optimized for search. If you’re a membership-based organization it should be easy to convert non-members, renew memberships online and accept ad-hoc donations as the need arises. The right mix depends on your business, customer and goals. If you’ve kicked the can down the road or not closely paying attention to how or if your website effectively attracts and engages your customer, it’s time to stop putting lipstick on a pig; modernize and start investing in it. Produce killer content. With each passing year, savvy consumers become less tolerant of watered down, irrelevant content, advertisements, and emails lacking personalization. When was the last time you intentionally clicked on a Facebook ad or opened an unsolicited email? For me, it’s about the last time I listened to the full pitch from an unknown telemarketer selling Viagra who regularly calls our office. People expect personalized experiences and content delivered when they want it on their preferred device with the right topic counting as much as the delivery method or platform. Just because one of your competitors is doing podcasts, vlogs, or video productions, it doesn’t necessarily mean your brand should be. Figure out the right mix that is both authentic to your brand and as personalized as your budget tolerates or risk coming across like a telemarketer selling Viagra to people who don’t need it. Most shows are usually made up of a light-weight production crew, 1-2 camera set-up and the host whispering into the camera setting up the hunt or scene with a newly added drone for aerial shots. Cut to wildlife and nature b-roll, cut to a mature shooter coming in, cut to game recovery. You could string together the same commonly used scripts for plenty of other shows inside outdoor, conservation, hunting and fishing shows too. Is anyone too surprised that viewership is down along with advertising sponsors and revenues with all but a few exceptions? There’s a huge opportunity for brands outdoor programming to integrate more visual story elements than what’s being captured by cameras or produced today. Motion graphics that provide a data visualization – or story details can reveal wind direction, biometric data from wearables (see The Integrated Hunter – #8 of this post), weather, historical harvest reports, game identification data and much more. You might also lean into more individualized show graphics for broadcast that could include title/end cards, lower-thirds, transitions, promos and more. 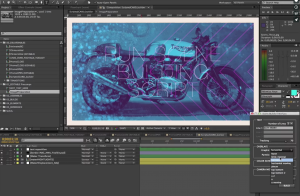 If you’re an agency, production studio, or brand producing volume video content across broadcast, YouTube or other social channels, consider building an After Effects (AE) graphics toolkit. AE toolkits maintains visual consistency while allowing for easy updates by non-motion graphics team members. Taking this approach in the long run, saves time + money while increasing visual appeal others have in the motion graphics. I’ve seen first hand the value the toolkits provide through our growth partner, The New Blank creating these toolkits for digital agencies and entertainment studios like ABC, E!, PBS and more. The screenshot above is from an older AE toolkit video tutorial Sevrin recorded for The American Music Awards. Ask any company what makes their product, or service unique and you’ll likely get a detailed answer. Despite brands within the outdoor, conservation and hunting industries having clearly differentiated products, services, prices or experiences, the marketing mix used to acquire or engage consumers is largely the same combo of marketing tools and tactics. You know them, content creation (videos, podcasts, blogs, etc.) and marketing outreach (customer relationship management (CRM), pay per click (PPC), social media marketing (SMM), emails). There remains value in leveraging the right recipe for your brand and customer but I contend variety is good for your brand. It wouldn’t be too difficult to find two brands within the same category going after business from different customers. As such, targeting different customers means the marketing mix used to acquire, engage and maintain loyalty could easily be different. Think of it like going to Baskin-Robbins for ice cream only to find 29 slight variations of vanilla. That’s cool if your ideal consumer only loves vanilla ice cream, but most companies today will find consumer loyalty is achieved in part by communicating and marketing to them in a way that resonates uniquely and personally instead of opting to follow the same marketing playbook everyone seems to. 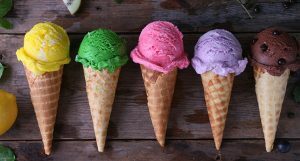 Your variety of flavors matter most to your customer base if you’re a brand with aspirations of growth. Automating marketing assets, analytics and journey touchpoints associated with campaigns, landing pages, email, PPC, and SMM is highly effective for certain SMBs and mid-market brands and not for others. Solutions from industry leaders like Marketo (https://www.marketo.com/) or Hubspot (https://www.hubspot.com/) are limiting to many SMBs in outdoor industries due in part to the budgets required for licensing despite the ROI marketing automation can provide. 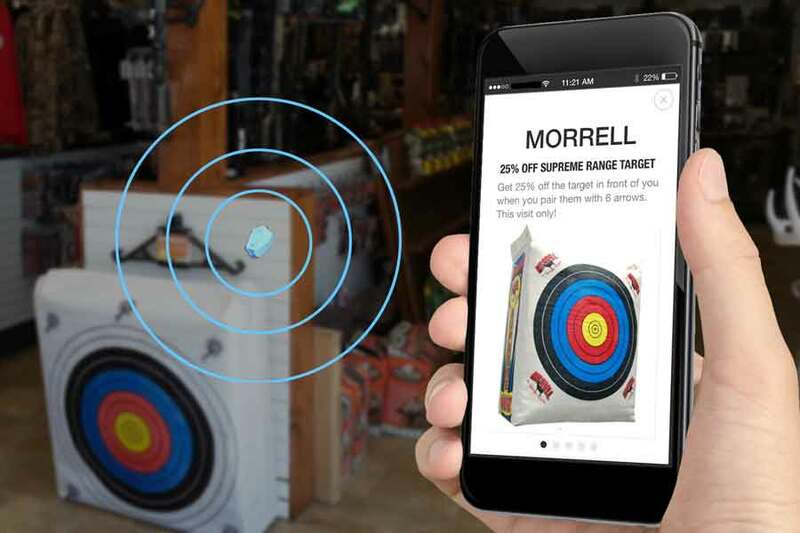 For example, “Bob’s Fishing Tackle,” a 1200-square-foot local brick-and-mortar tackle shop in business for 45 years probably doesn’t need a bloated marketing automation solution. That is, unless there are plans for steep growth, multiple stores, investment and so on. Even then, it might not be the right solution, just one legitimately worth exploring as part of a larger growth strategy. And yes, there is a Bob’s Fishing Tackle, go visit him when in Van Nuys, CA. Contrast the tackle shop example above with a retail motorsport (or archery, firearm, apparel, etc) shop owner who has a multistate presence selling boats, bikes, and ATVs along with mechanical and fabrication shop services. In addition to shops, membership/donor-based, nonprofit, and 5013cE organizations like RMEF, DU, and NWTF would benefit from exploring the mix of growth tools marketing automation provides while making sure to evaluate them against the same ROI metrics the rest of the organization is measured. The search/SEO basics include making sure your site is optimized for organic search and keyword tracking so the content you’re producing yields results. A combination of website optimization, keywords, and relevant content are key. You’ll also want to make sure your site has basic analytics and correctly connected to search consoles like Google. It seems like search and overall site ranking requirements have always evolved rather quickly, but artificial intelligence (AI) will require those out-of-date websites to be modernized. Otherwise, they’ll essentially become invisible to rankings that new traffic or new potential customers will find your brand. Believe it or not, in the not too distant future, how online brands are ranked and found will largely be controlled by machines. There’s a great likelihood that by 2022, artificial intelligence will be able to create brand identities and experiences. This might involve inputting a combination of sector, characteristics, and values that you want to express and being presented with variety of options that can be fine-tuned manually. “Machines make many decisions on our behalf, and as big brands write the decision rules for soon-to-be-essential assistants (Alexa, Siri, Erica, and any of Facebook’s myriad bots), brands must realize that, in the very near future, before they even get to a customer, they’ll have to appeal to a machine. Call it SEO on steroids. More abstract measures like trust and a company’s track record may give way to more quantifiable traits like quality scores and customer ratings. The recent Facebook testimony should rattle the cages of all companies but particularly within hunting, firearms, outdoors, wildlife conservation and first responders. GDPR or no GDPR, if Facebook, Google or others decide to institute a rule that lowers search rankings for any business selling firearms, ammunition or related supplies (for example), it would have a significant negative impact on SMB’s and mid-market businesses supporting our industry. For no other reason than their stance on the Second Amendment, hunting and so on. In other words, machines will follow rules written into software that make decisions directly related to the factors that help make businesses successful – awareness, publicity, search ranking, sentiment, marketing, etc. It’s kind of like sitting in a desert with your advisary holding their hand on the only spigot of water, dictating which brands are thirsty and which ones are not, based on conforming to the “thirst rules” they wrote. If machines are building, ranking, and marketing brands, what happens to the sea of commodity-based digital/marketing/PR agencies doing the work?